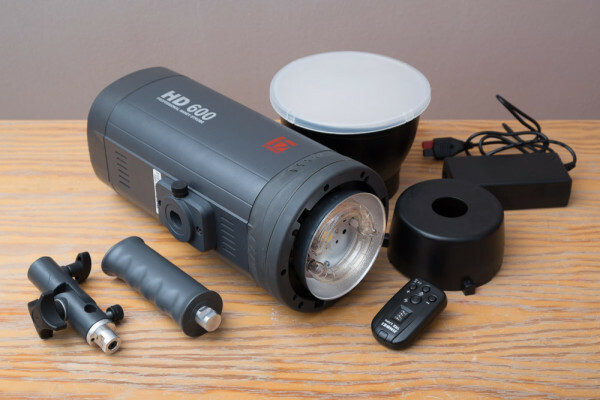 The Jinbei HD-II 600 is a powerful, full-sized studio light with a built-in battery pack. Is it any good? Lately we have seen a large number of new lithium-ion monoblocs enter the market; it really seems to be the next big thing. Before, if you wanted to shoot on location with a studio light you had to resort to a inverter — usually a rather bulky and heavy option. Nowadays the choice between all the affordable battery powered monoblocs has significantly increased. 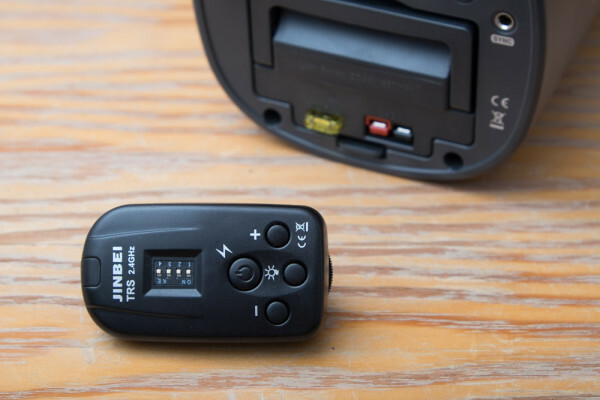 During this review I will be testing Jinbei’s latest offering, the HDII 600. Foto-Morgen kindly loaned us a review sample to use for testing and evaluation. On paper, the specs of the HDII 600 look rather impressive. With 600 Ws it has slightly more power than other competitors and it features a HSS (high-speed sync) mode. Compared to the older model, the HD600, the newer one has an adjustable flash power from 1/1 to 1/16 in HSS mode. 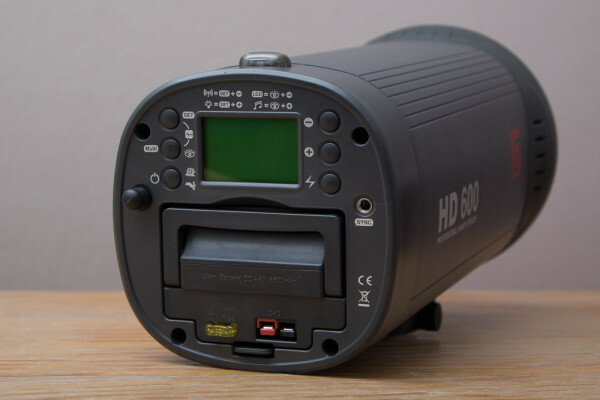 The HDII 600 is a slight update to the original unit, which was actually not released that long ago. The monobloc arrived to me packed in a protective case which can be used for transporting the device. The first thing I noticed after opening the case is that the unit is quite big, which can be expected when both the head and the pack are integrated in a single device. Size is comparable to older mains powered monoblocs. At 2.5 kilograms it is not the lightest unit either, but this is mainly caused by the battery. 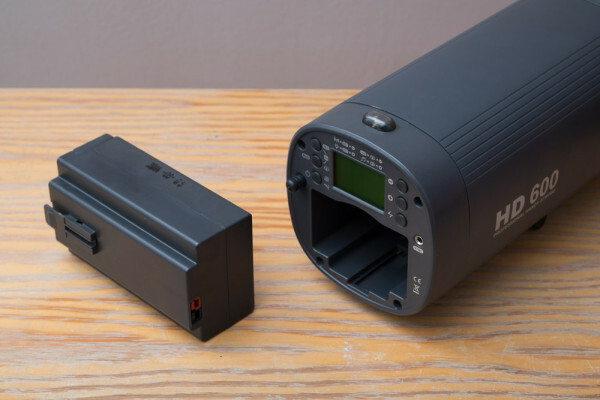 In the kit is a beefy lithium-ion battery included that can power the flash 500 times at full power, which is an impressive 600 Ws with this flash. Besides the monobloc itself (and obviously the battery) there are more items included in the kit. There is a charger, a swivel, handgrip, a protective cap for the flashtube and a reflector with clip-on diffusor. In the kit that Foto-Morgen sent us, a transmitter is included to remotely adjust power. After turning on the unit and playing a bit with the settings it seems that the HDII 600 has all the features commonly found with other high end monoblocs. LED modeling light, adjustable power of 1/1 to 1/128 in 1/3 steps, HSS mode, slave sensor and audible beep. Firing a test flash reveals the reason why this flash is so beefy, the amount of light the flash emits is rather impressive. The exterior of the monobloc is mostly made of plastic, which seems to be high quality. In general the flash feels quite solid but this could also be due to the weight of the unit that gives a false impression. The battery pack fits well in the slot which is made for it, no force required to insert it. Design of the monobloc looks clean, but it is nothing special. There is not so much I can say about it, it just simple. No complaints. On the front of the head, the flash tube is located in a slightly recessed reflector. This is also where the 5 Watt modeling light LED is located. My version came with a Bowens mount onto which you can fit your various light modifiers. While the mount is sturdy, it is not well designed since the mount has a lot of play; it is not tight enough. I don’t think my light modifiers will come off by themselves, but it means my modifiers can move about 5 degrees up and down. When examining the back of the monobloc we can see a number of buttons and a LCD screen. The LCD screen is a basic one, no fancy dot matrix screen. Again, like the design of the monobloc, it is nothing special but seems to work well. The contrast is excellent and the backlight is just fine. Around the screen there are six buttons that are used to change the settings. To activate some modes you need to press two buttons at the same time, such as the HSS mode and the modeling light. What I don’t like is the way the monobloc mounts to the swivel and the handgrip. It uses an non-standard connection between them meaning I cannot use other brackets or swivels. Fortunately the included swivel and handgrip are of good quality, but I don’t understand why they didn’t use a standard thread connection. They could have easily done it. Like I do usually with review articles I used the HD-II 600 in my normal work. Normally my main light source is a head and pack type of flash, such as the Godox Witstro AD360 or the Cononmark K4T. Since most of my work is shot on location I was not exactly jumping with joy with the thought of brining this 2.5 kg beast. 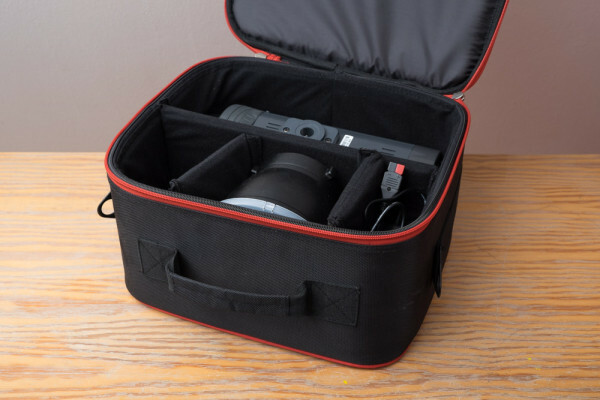 It is also rather bulky, so packing it in the same bag (as I often do with the Godox Witstro) was out of the question. In the end I did follow through bringing it on location. After a number of shoots the HD-II 600 gained my trust. It would do whatever I asked from it without any problems. Due to the simple appearance and user interface I would almost forget about it during a shoot. It just has enough features to make shooting easy, but not overly complicated. Sometimes it feels like you are playing with a Gameboy when you want to change settings on other triggers and flashes, but with the HD-II 600 this is absolutely not the case. Everything is intuitive and there is absolutely no need for reading the manual. There is one thing that annoyed me quite a lot, after turning on the flash it’s possible to change the recycle speed mode. Long recycles are indicated by a turtle and fast recycle speeds are indicated by a hare. 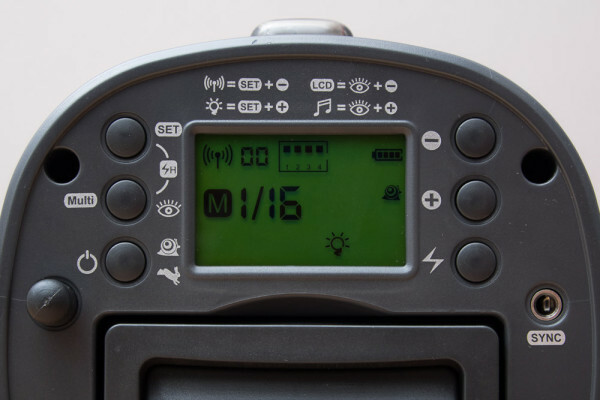 In hare mode the HDII 600 keeps the capacitor fully charged and in turtle mode there is only enough power for a single flash at the currently set power. This means that while in turtle mode any power setting has a recycle time. Particularly annoying if you shoot small bursts of photos. Unfortunately the flash does not remember which mode it was in before it turned off, meaning that every time you switch on the flash the turtle mode is activated again. In order to trigger the monobloc with HSS will need additional triggers: ones that are able to activate the HSS mode on your camera. I can understand the reasoning why Jinbei opted for this, because it meant that they don’t have to make brand-specific triggers and make HSS-enabled triggers. While I do understand the decision, it is not an elegant solution. The workaround with additional triggers means one has to invest in additional triggers and make sure they are working. More units means more chance that one forgets to charge batteries or something. To activate the HSS mode two buttons on the back have to be pressed simultaneously. When this is done the power adjustment range is limited to 1/1 to 1/16. It is important to realize that 1/16 power is roughly comparable to full power on a speedlite. The limited power adjustment range is due to the fact that for HSS longer flash durations are required, which this flash is not able to do for lower powers. HSS works only when paired with other triggers, which means you can mix in other speedlites. 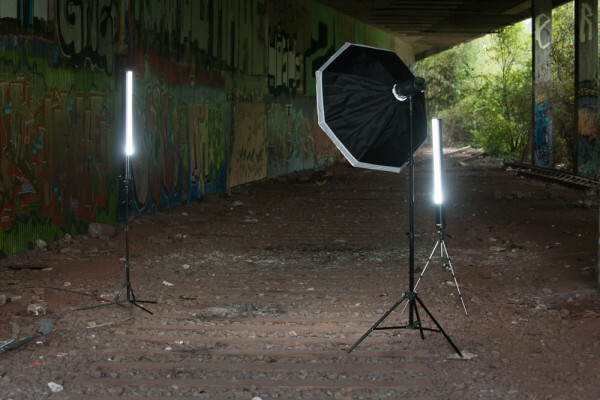 In this case Pixel King Pros were used with 2 SB800s in Saberstrips, besides the main flash. During shooting with HSS I again had no problem with power. The flash works well up to 1/8000 second, the maximum shutter speed of my Nikon D800. During a comparison I made with the Godox Witstro AD360 I noticed that the Jinbei has not a 1-stop advantage over the Godox, but 2 stops instead. This can explained by the fact that the flash has slightly longer flash durations. While for non-HSS mode this is not ideal, in HSS it can be seen as an advantage since the flash has to ‘pulse’ less often. After making a few test exposures with the HSS mode activated I noticed that the flash dumps excess power after changing a power setting, like older non-IGBT monoblocs. By dumping the energy that has been accumulated you lose efficiency, meaning you can do less shots on a single battery. It also means that the flash has to restart the accumulation of energy for the next flash. In other words, it has to recycle again. This can be quite annoying when adjusting the power from 1/1 to ½ or so, since you have to wait a little bit. I would have preferred that no energy dump would occur, but it is not a dealbreaker. In my opinion this is the weakest link of the monobloc. While the trigger is able to change the power of the monobloc, it does not provide a visual feedback of the currently set power. Also it is not possible to select a different change to change the power of that flash. Essentially it triggers only one channel, thus it triggers only one flash. Besides that there is no LCD screen on the trigger and it does not use a standard AA or AAA battery. I even had some misfires at higher distances. The monobloc has 600 Ws and is clearly meant for serious photoshoots, the trigger fails to meet this level. It seems it’s more intended for amateurs. Jinbei clearly needs to update this. As soon as possible. Initially I was not overly impressed by the HD-II 600, its rather big and heavy and just doesn’t appear so impressive. However, over time is really learned to appreciate it. It is a case of inner beauty, you shouldn’t be fooled by the simple appearance. That said, the monobloc is not only perfect, there are some flaws. The biggest one is without a doubt the trigger. It feels like it is using outdated technology and should have never been paired with the HD-II 600 flash. What I also don’t like about the flash it the poor quality of the Bowens mount. There is simply too much play in the mount for it to feel professional. Fortunately the mechanism does work proper, so there is no chance of modifiers falling off the device. The weight is also a drawback, making the flash less appealing for location photographers. This weight is mainly caused by the power it has, so it can be seen as a tradeoff. It is certainly true that the flash does have some drawbacks, but it can also be found for a very reasonable price. 600 euro or sometimes even less it not an amazing amount of money for a lot of power. You may or may not like the integrated battery since it adds quite a lot of weight to the top of a lightstand, but it does make the light quick to setup. If you are planning to buy a Jinbei HD-II 600: don’t expect a very fancy flash, but a flash that gets the job done. For me, that is the most important. If Jinbei fixes the trigger and the Bowens mount it is recommended for sure. The unit provided for this review was provided by Foto-Morgen. You can get it here.